“This is my new image. You can expect the unexpected. I feel comfortable with black people lightening their skin. They want a different look. 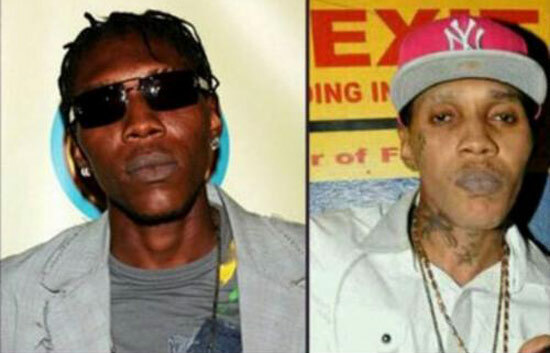 It’s tantamount to white people getting a sun tan,” Kartel told Vibe Magazine. First of all I was already upset when Sammy Sosa did it, Michael Jackson did it, and a few others..my take on this is that white people tan in the sun crossing the street it happens naturally..dark complexion people dont just lighten up in the winter so NO its not the same thing. As for material tans-thats what I will call them (sun tan stores, and booths) that damages your skin…so obviously dont you think bleach damages and has side effects as well. A tan, whether you get it on the beach, in a bed, or through incidental exposure, is bad news, any way you acquire it. Tans are caused by harmful ultraviolet (UV) radiation from the sun or tanning lamps, and if you have one, you’ve sustained skin cell damage. No matter what you may hear at tanning salons, the cumulative damage caused by UV radiation can lead to premature skin aging (wrinkles, lax skin, brown spots, and more), as well as skin cancer. Hydroquinone is the only skin bleaching chemical recognized by the FDA. Skin bleaching creams may have different percentages of Hydroquinone in their compound, but any skin bleaching cream with over 2% may cause side effects. The most common side effect of skin bleaching is skin irritation and a burning sensation. The itching or stinging of the skin should be mild and temporary, with some reddening of skin where cream is applied. Other side effects when severe include crusting and discoloration and more.. SO ALL OF THESE FOOLIOS NEED TO WAKE UP!! We were born a certain way, and when you alter your body to appease others or yourself..there is always a chance at making it worse. Food for thought! Listen to me Thursdays exclusively on http://www.urbanlatinoradio.com 8pm Est! !